Today’s modern minimalist wedding inspiration from Catie Coyle Photography and Paper Hearts & Company showcases the power of vibrant colors. 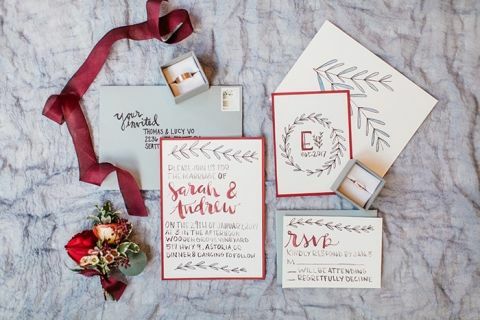 A bold palette of oxblood red and slate blue adds a punch of jewel bright color to the clean white space and elegant greenery that make this shoot so striking. 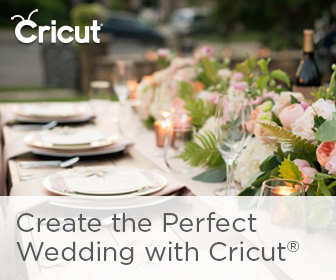 The simple styling allows the vibrant colors to stand out and take center stage! 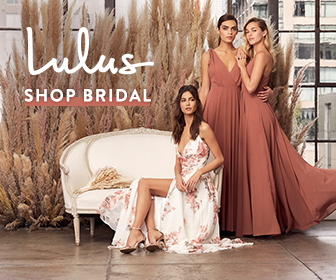 Elegant bridal separates and a blush lace wedding dress add a dose of whimsy to the dramatic colors that make this shoot stand out! The bride’s lace and crepe two piece dress suited the toned down style of the shoot, while still creating a clean and romantic look. 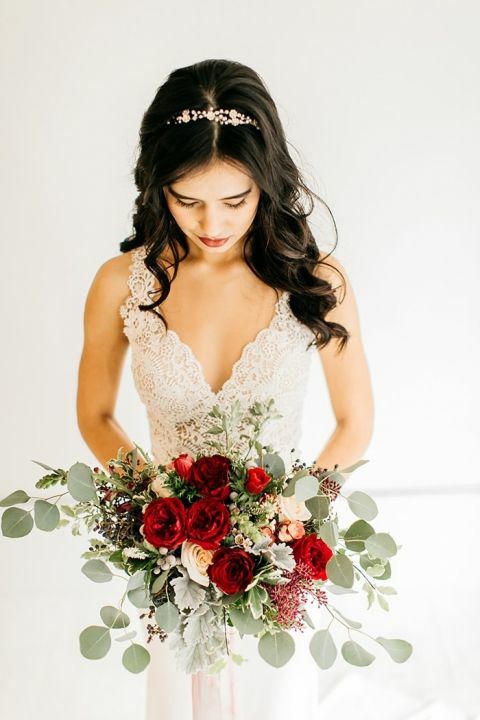 Style by Shai paired it with loose waves and a glam berry lip, to accent the crimson flowers in the bride’s bouquet. 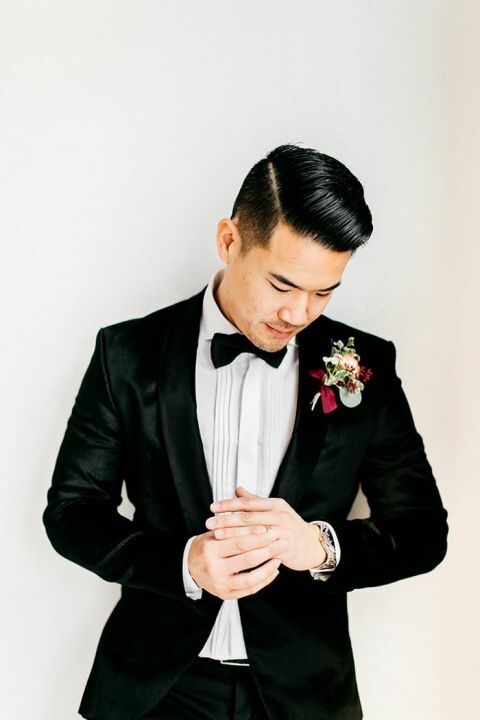 A sharp black tux gave the groom a classic look, with a black bow tie and richly colored boutonniere to turn a simple look into something memorable. Raw linen napkins and a table runner in dusty blue and silvery green eucalyptus added an organic element to the clean approach to design. Vibrant red roses and elegant gold flatware elevated the simple design into something bold and gorgeous with minimal decor! Even the cake used clean lines and minimal styling to make a statement, with velvet ribbons and a simple floral topper finishing off the white tiers.